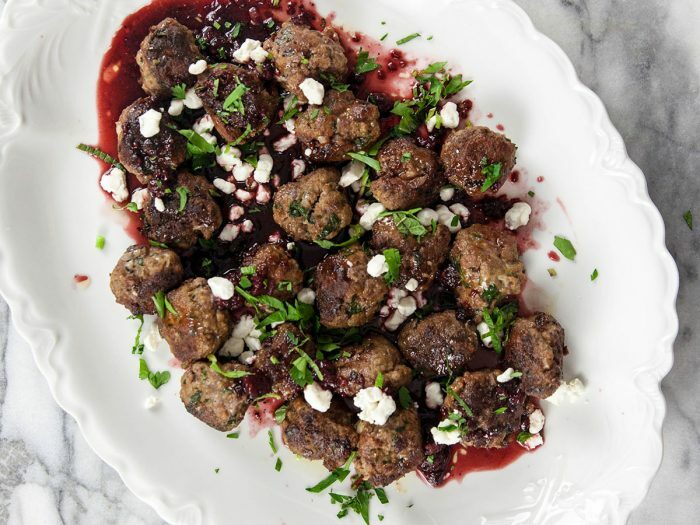 Meatballs with Raspberry Balsamic GlazeThese meatballs with raspberry balsamic glaze will be the talk of any holiday party you have, especially with the tang of flavor from our raspberry wine vinegar. Lemon Olive Oil GranitaLight, refreshing, and the perfect summer treat! 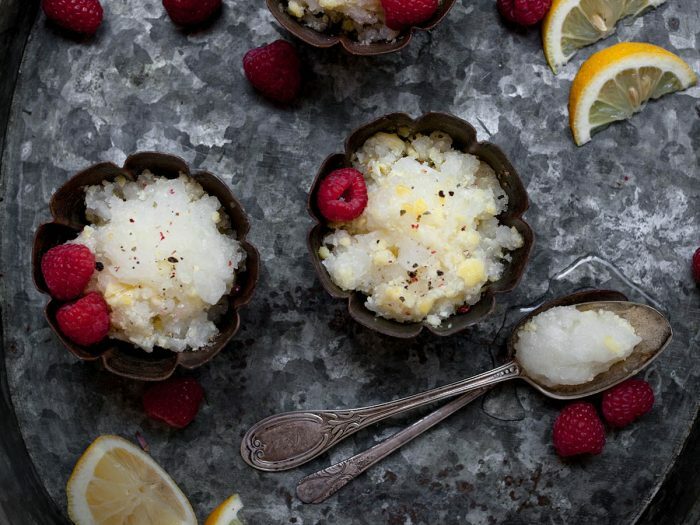 Lemon Granita is a classic, but add olive oil and you get flavor for days- if it lasts that long! 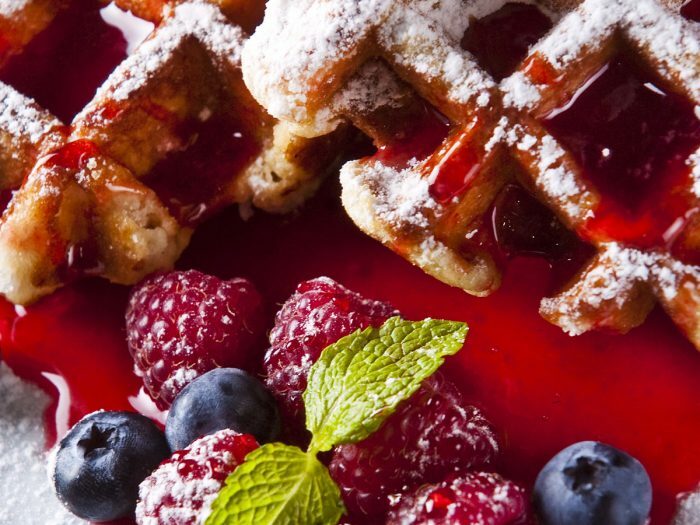 Polenta Waffles with Balsamic Berry CompotePolenta Waffles with Balsamic Berry Compote and Sausage: the perfect fix for someone adhering to a gluten-free diet. 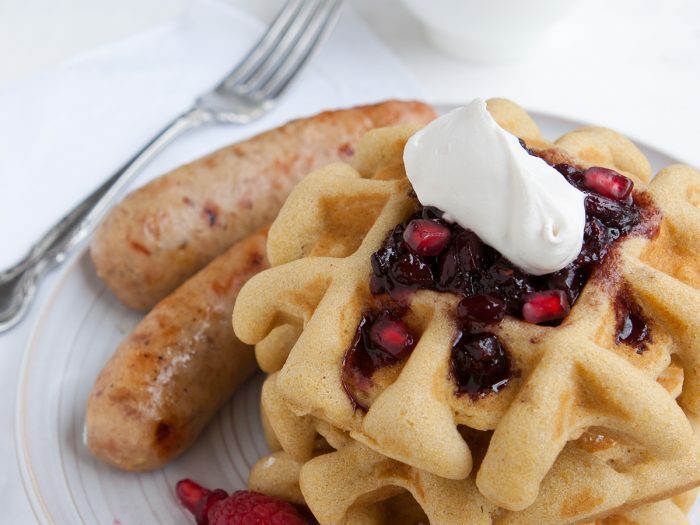 Large fluffy, polenta waffles combined with blueberry chicken sausage and tangy balsamic blueberry compote are the perfect Sunday morning breakfast. Fried Eggs Italiano with Tomato CrostiniA hearty, savory breakfast. 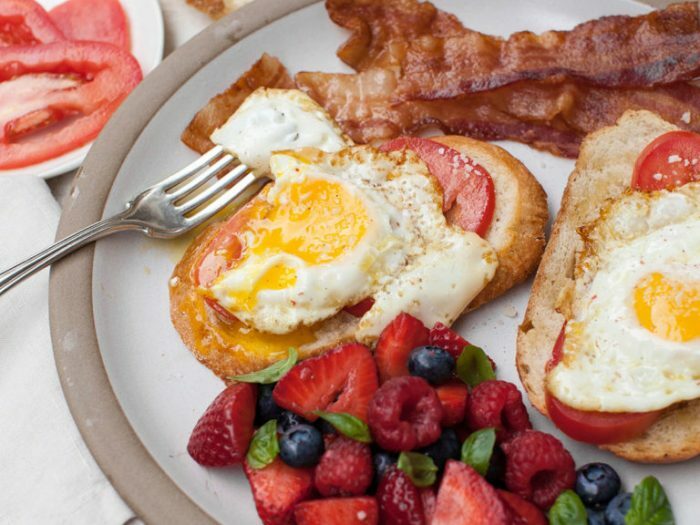 Feel free to top the tomato crostini with the fried eggs or eat them separately. 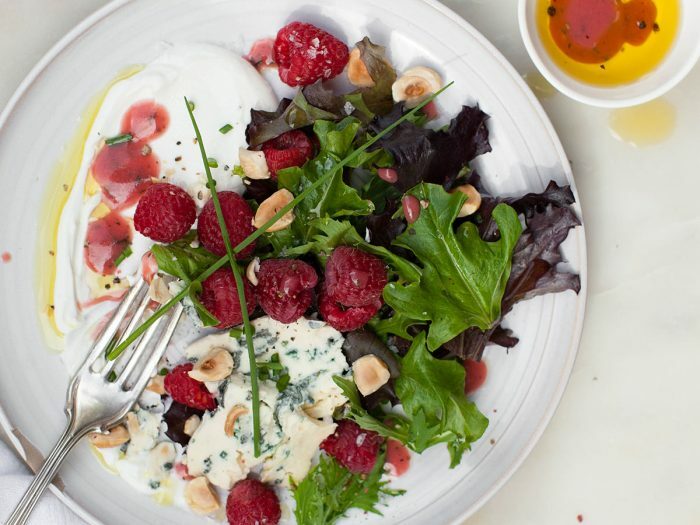 Yogurt Salad with Raspberry VinaigretteColavita Raspberry Vinaigrette is especially good when served over a spring mix of baby greens or spinach with sliced fresh strawberries and topped with some toasted almond slices. Lemon Poppyseed Waffles with Blueberry Citrus SyrupBrighten up your family's Sunday brunch with these lemon poppyseed waffles. Made with Colavita Olive Oil instead of butter and paired with a rich blueberry compote, this recipe is another selection from our Better Than Butter recipe collection. 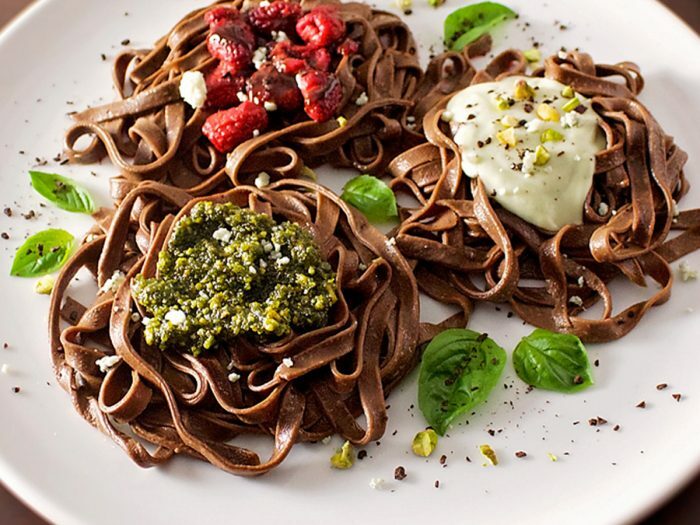 Chocolate Pasta Three WaysThis chocolate pasta, featured with three different sauces has a subtle cocoa flavor and a strikingly beautiful look, shiny and decadent. 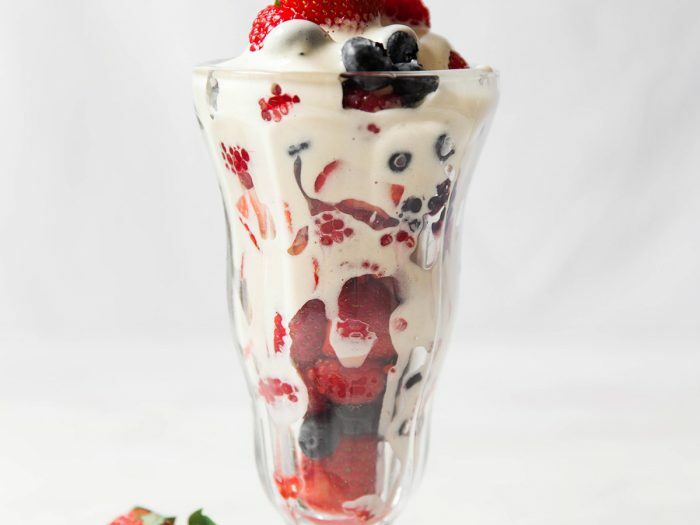 Sauce combinations include berries roasted with balsamic vinegar (raspberries or strawberries), pistachio pesto, and creamy Gorgonzola sauce. Zabaglione with Fresh Summer FruitZabaglione with Fresh Summer Fruit is a an Italian twist on custard. It’s a warm, sweet egg custard flavored with Marsala wine. 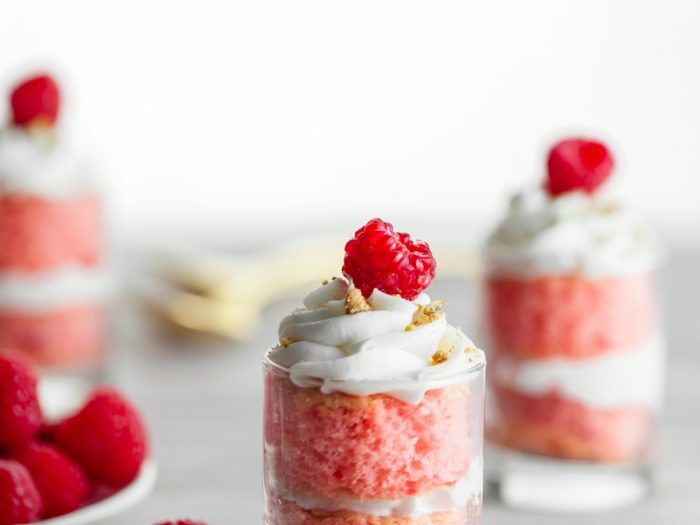 It should be a little runny – not as thick as whipped cream – almost drinkable! 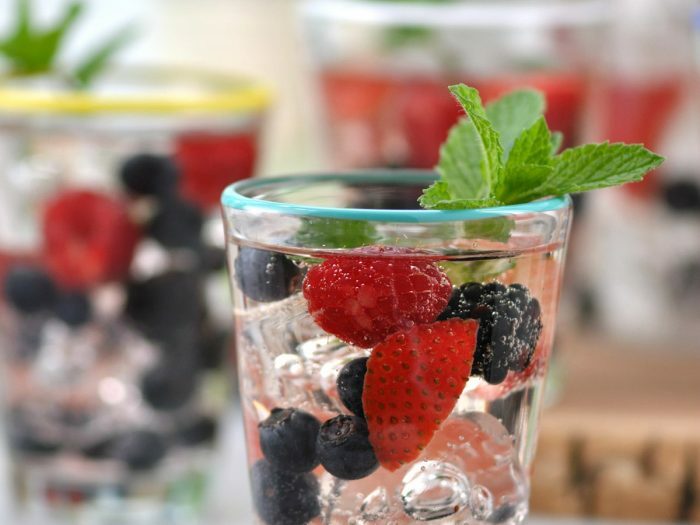 We recommend dipping as many fresh summer berries into it as you can! 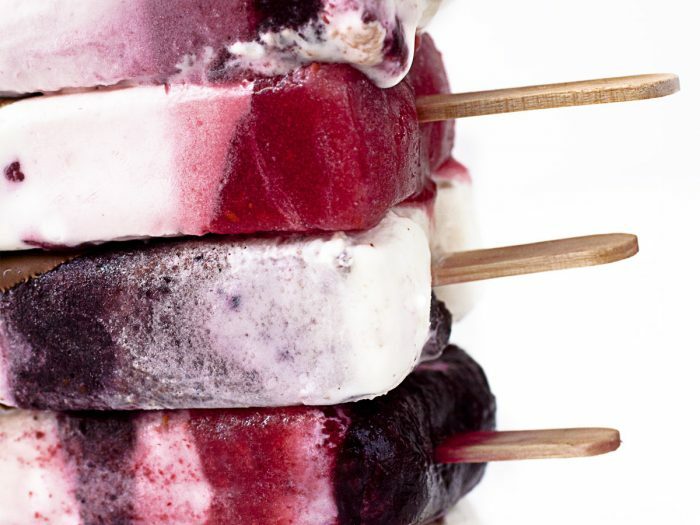 Berry PopsiclesEnjoy these berry popsicles on a hot day, or make a cool one even cooler! Made with delicious berries of all types when they're purée'd. You can find the recipe for the fruit purée here. White Wine SangriaWhite Wine Sangria is a light and refreshing beverage made with crisp pinot grigio. It is versatile enough to use in a variety of creations! 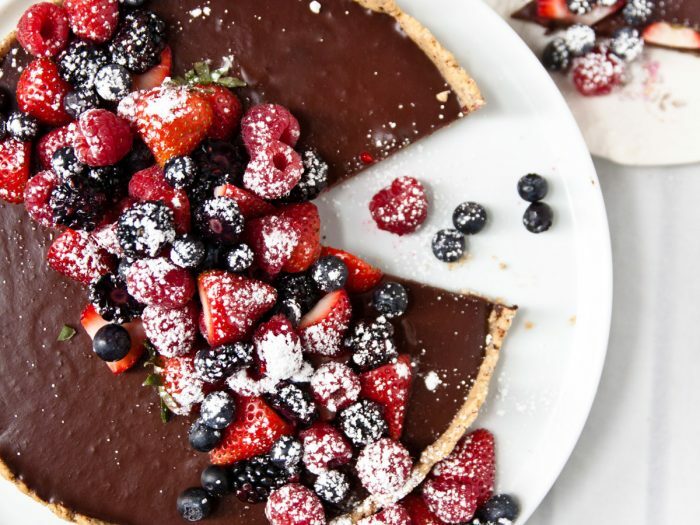 Chocolate Berry TartOlive oil is used to make the crust of these berry filled chocolate tart. Using blackberries and strawberries, this cool tart is great for a hot summer day.